Martha, thanks for sharing your experience. Your comment ended up on the Events page instead of on the page with the discussion of pruning, so I added your message in a new comment in the right spot. Thanks again. If you have a hydrangea plant, you can find pruning information at Learn how to get better blooms on hydrangeas at Lockwood’s fall fair. Check out the You Tube that is mentioned. If you have a hydrangea tree, you can find more information at How should a Hydrangea paniculata ‘Limelight’ tree be pruned? 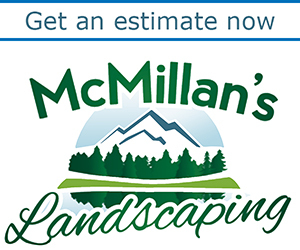 If you need more detailed information, you can go to a garden center (find local businesses in our gardening directory or click on an ad). You can also contact Cornell Cooperative Extension. Contact information is in the article on the hydrangea tree. I hope that helps. Connie, What a great list of activities….Could you please add Western New York Iris Society Show on June 21st at the Eastern Hills Mall from 1pm to 5pm. All types of iris and some plants available. Thanks, Judy. I have posted it. Is there some trick to using soaking hoses??? The round black ones that are slightly smaller around than a regular hose are the ones I bought & they are made by Swan so usually a good brand. I have a 100′ perennial bed that I have been nagged about literally for years to put in hoses so I don’t have to spend so much time watering. I bought the hoses last year but they everything got too big before I got them in. This year I fought 125′ of hose in amongst the plants, followed the directions for connecting them (2 hoses, removed the restricter washer from the 2nd hose, but when I connect them to the hose from the house, it floods out the end where it is connected which is the shadier end, & on the hot end it just trickles out & doesn’t do any good. I really thought this was going to be a time saver, but now I’m just thoroughly frustrated!! Any advice?? I even tried taking out the restricter washer thinking that might get the water down to the hot end faster, but it just did basically the same thing. Any help you can give would be greatly appreciated. Thank You! Vicki, Thanks for your question. I’m not a gardening expert. I’m a writer by profession who interviews knowledgeable people in order to provide you with great articles on Buffalo-NiagaraGardening.com. So when someone asks a question I can’t answer, I post the question and rely on my readers to share their expertise. I will post your question in an article in a future issue of Buffalo-NiagaraGardening.com and hope that my readers can help you. A more efficient route for getting your questions answered is to turn to Master Gardeners with Cornell Cooperative Extension or to turn to your local garden center. For Master Gardeners at Cornell Cooperative Extension Erie County, call (716) 652-5400 from 9 a.m. to noon weekdays or email them at mgerie@cornell.edu. For Chautauqua County, email your question to CCEMGCC@gmail.com; call the Helpline at (716) 664-9502, ext. 224, or stop in to the Ag Center, 3542 Turner Rd., Jamestown, from 10 a.m. to 2 p.m. Wednesdays. I have several spiderwort (transcandentia) in a variety of colors. I love the plants, however, their bloom only lasts until late afternoon, then they close up. Is there anything I can do to extend their bloom time or is this just typical of the plant? Also, can they be cut back to bring another full blooming young plant at a certain time during the summer? Dawn, I happen to have spiderwort and I think the flowers just close up in the afternoon. I don’t know anything about pruning it to make it rebloom. However, I’m not a gardening expert. What I do when a reader asks me a question that I don’t know the answer to is to publish the question in an article and ask my readers, many of whom are Master Gardeners, to respond. If you’d like me to do that, please tell me what town you live in. Also, do you happen to have any photos of your spiderwort plants? I’d like to use one or more to illustrate the article. (I didn’t take any of mine and they’re almost done blooming.) If so, please email them to me at connie@buffaloniagaragardening.com. I look forward to hearing from you. Just a question: after attending the GWA book sale, can the general public (ie non-member, an avid reader – but not “writer”) also attend the exhibitor expo immed following ? If “yes”, what would the admission cost be ? The exhibitor expo is just for people attending the conference. Single day registration is available. You can call 212.297.2198 for more information. Marilee, did you know that your group can have meetings posted on our Events page? Any event that is open to the public can be posted for free for non-profit organizations. 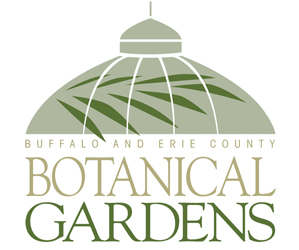 You can e-mail the information to me at Connie@BuffaloNiagaraGardening.com. Please make sure to include the address of the place where you are meeting; people from other towns may not know where a community center or church is located. Please tell me what the event is, the time, day, date, place and address. Optional: If you have someone who is willing to respond to questions about the event from our readers, include a phone number or e-mail address to be included in the post. Include other information that is relevant to the event. Please send information only for events that are open to the public. You don’t have to wait to send us your information; you may send us all of your dates for the coming year at one time if you like. We try to post the information as soon as we get it. We publish the magazine on Tuesdays, so make sure you get an event to us before the Friday preceding your event.